Dan Possumato has been playing Irish music for over 30 years at small and large venues in Ireland, Alaska, Canada and the continental USA. Dan with Vince Burns (fiddle) and Jamie O'Brien (guitar/singer). 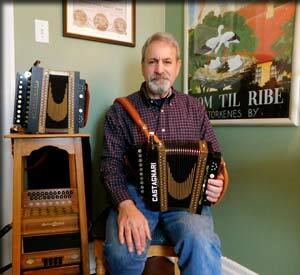 Dan plays the one row melodeon, as well as the two row button accordion, both in the old “push-and-draw” manner. This makes him somewhat of an anachronism, but he enjoys it because it is a link to all the great Irish musicians who are now gone but who preserved the music for future generations. 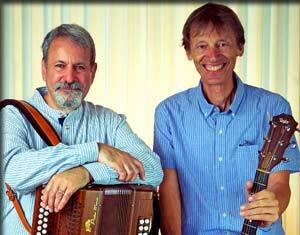 Dan's four CDs of Irish traditional music have all received favorable press and radio reviews. Tracks from these recordings are regularly played on radio stations in Ireland, the USA and elsewhere, for which he is truly humbled. Check out the Dan Possumato website for lots more information on Dan.